I think the book was probably published in the 70s or 80s, my copy was paperback. I don't recall the cover art, but I have vague recollections of a satellite on the cover and maybe blue with grid-lines below it? I've made concerted efforts to find it again but to no avail. My parents don't remember it either, but mum's an avowed book-aholic and buys a lot of books, reads them once and forgets about them, so that's not so surprising. Both the Soviets and Americans were working on psychic techniques and technologies, with real and tangible results including Remote Viewing. MK-ULTRA was explicitly namedropped in relation to the American psychic program. The Soviets and Americans both had orbiting superweapons, One was a microwave laser (or something very similar) and the other used slivers of the brains of psychics to blow people's brains up in a wide area. A super-psychic (male) took offence to the state of the cold-war and took control over the orbital weapons by manipulating the onboard computers psychically. There's a gruesome description of a psychic weapon being tested on monkeys in a lab, the POV character throws up afterwards in horror. I think there might have been more than one POV character. I remember that the super-psychic was working wholly alone and did most of his psychic stuff from motels halfway around the world from events. I believe the super-psychic also killed other psychics explicitly. I vaguely recall an office building getting targeted specifically at one point. This sounds like Star Fire by Ingo Swann published in 1978. Your plot points match my recollection of the story. but I don't have access to a copy right now to confirm. he intervenes to shut down those programs? Parts of this remind me of Richard Doherty's Psychic Warrior series. There's the cold war, psychics who specialize in remote viewing, and some horrific descriptions of the psychic attacks. However, I don't have access to the book at the moment, so I can't confirm details further than what's in the Goodreads blurb. 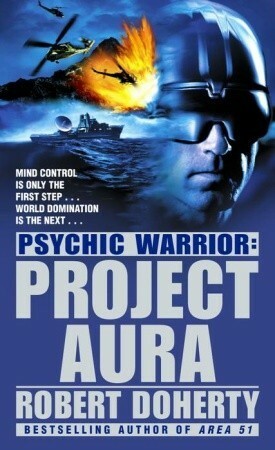 In 1981 psychics were secretly gathered in a classified military facility to "remote-view" enemy targets. It didn't work. Project Grill Flame was disbanded. Or so the public was told. That was a lie. Renamed Bright Gate, today it is a top secret operation few know exists. Its objective is to produce a virtual soldier who can leave his body behind, go anywhere, and do anything by harnessing the power of the mind. It is now operational. But the Russians have done it first, unleashing on the world the ultimate virtual killer. He calls himself Chyort--"Devil." Drawing on a multitude of new abilities, this psychic assassin has gained access to a secret weapon capable of unleashing an unstoppable, undetectable nuclear arsenal. Only Sergeant Major Jimmy Dalton, a battle-hardened Ranger with nothing left to live for but his honor, can stop him by accepting a dangerous mission: Lead a team of Psychic Warriors...and stop the Devil for us all. The sequel, Project Aura, better matches the color scheme you remember. Bright Gate. HAARP. Remote Viewers. U.S. military operations so top secret that not even the president knew they existed. Now they have produced an elite group of commandos able to leave their bodies — and their souls — to fight anywhere, anytime, using the devastating power of the human mind. Sergeant Major Jimmy Dalton is one of them. An ex-Green Beret, a man with no family, no ties, and nothing to lose, Dalton believes that the most dangerous weapon in any arsenal is the mind. Among the first Psychic Warriors to be battle tested on the virtual plane, Dalton has seen up close the damage and destruction that the new weapons can cause. The memory will haunt him the rest of his days. Not the answer you're looking for? Browse other questions tagged story-identification books psychic cold-war or ask your own question. Cold War-era sci story about nuclear war between US and USSR. American survivors walk to Russia to resettle? What is the name of this science fiction novel involving an alternative history?